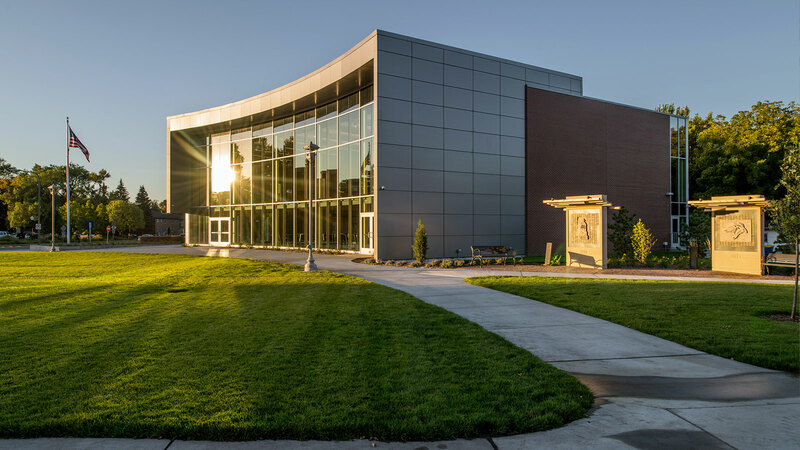 A redevelopment project in the shadow of South Dakota State University’s Coughlin Campanile has created a main entry that gives all visitors—especially prospective students—a true sense of arrival. 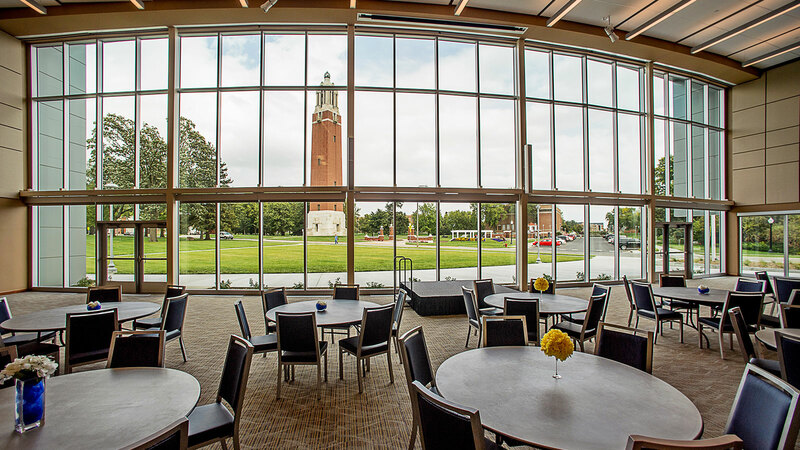 The high-visibility Alumni Center offers alumni, students, faculty, and friends a distinct space with a true “wow” factor. 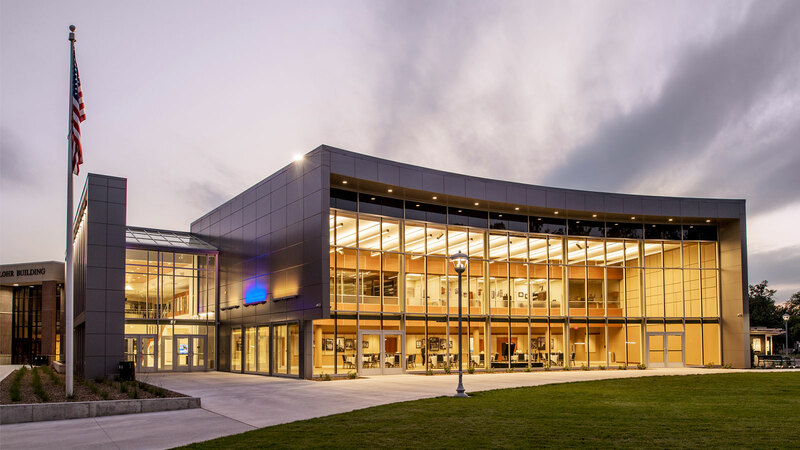 It’s a statement facility that provides flexible interior space for promoting the campus, learning, and socializing. 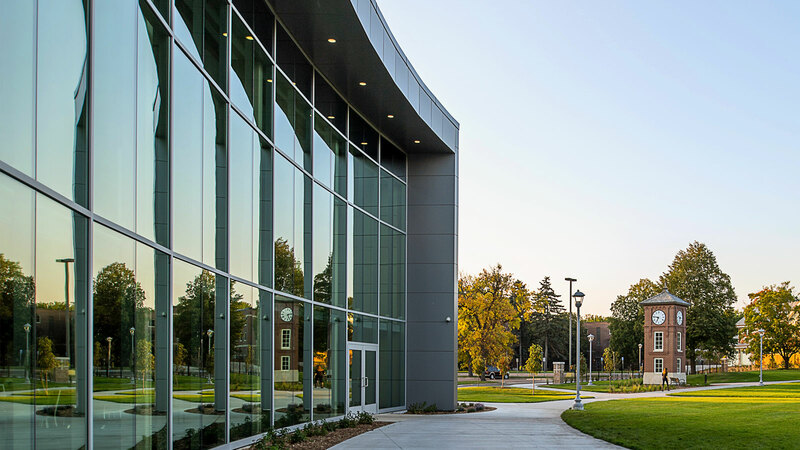 Outdoor spaces afford ample room for gatherings and further connect the facility to the campus landscape. 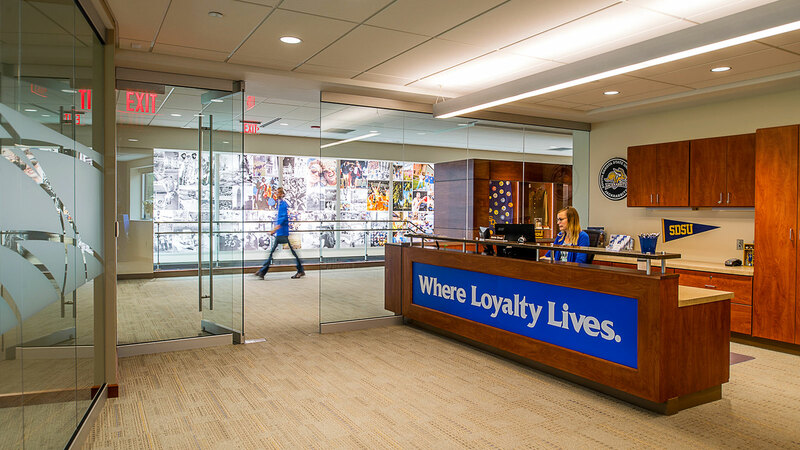 The lobby space was designed to connect the SDSU Foundation with the Alumni Association, both functionally and visually. The grand staircase is one of the feature design elements, but the main feature is a large display case with historic items. 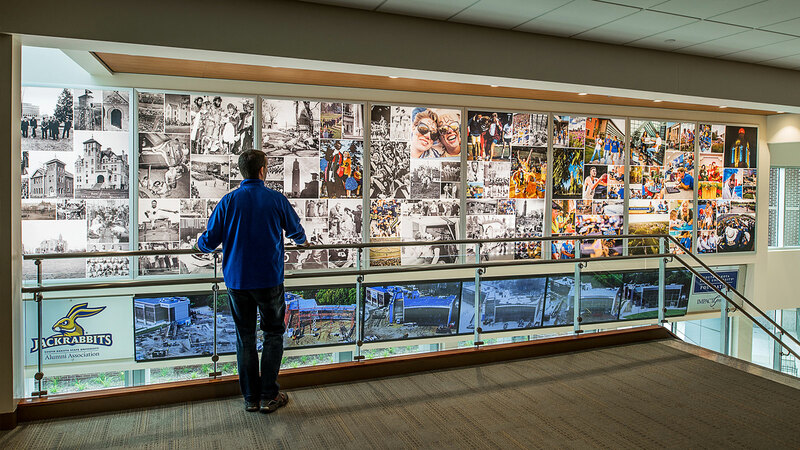 Backlit graphic panels display historically significant events that can be changed out when desired. 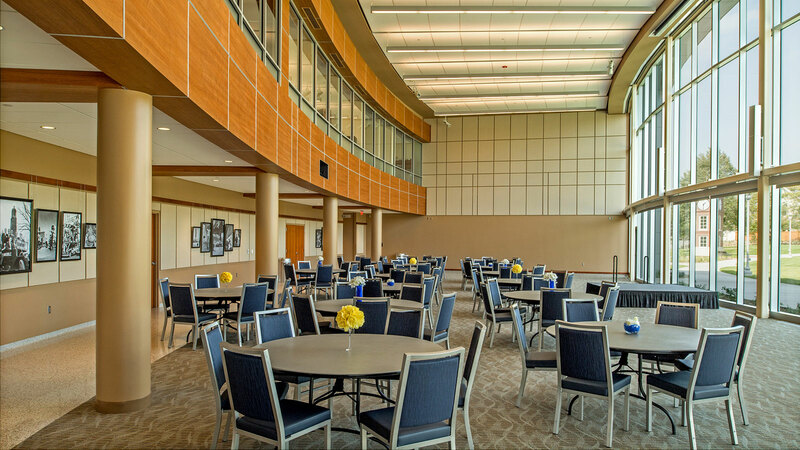 Meanwhile, conferencing areas connect to both open and private offices, maximizing collaboration opportunities through shared space. 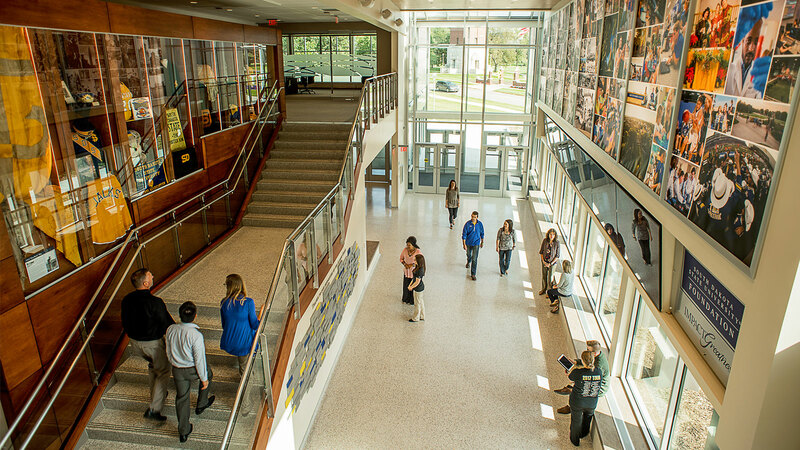 The main conference room also was designed to be a library. 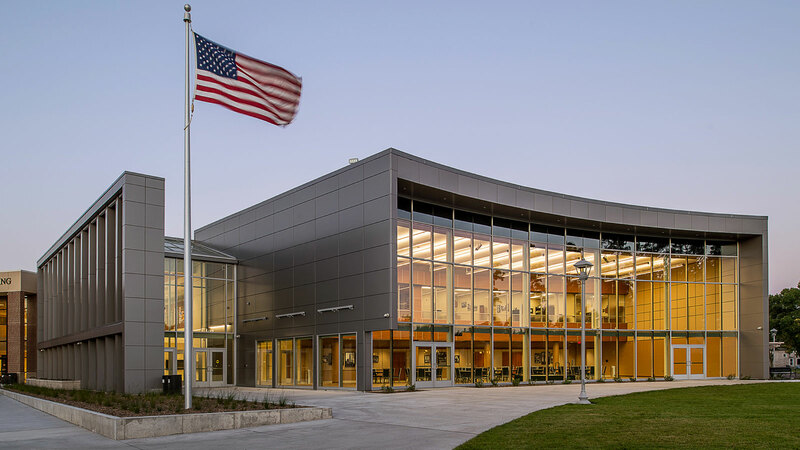 It features a signature SDSU fireplace where people can look at yearbooks or other memorabilia. 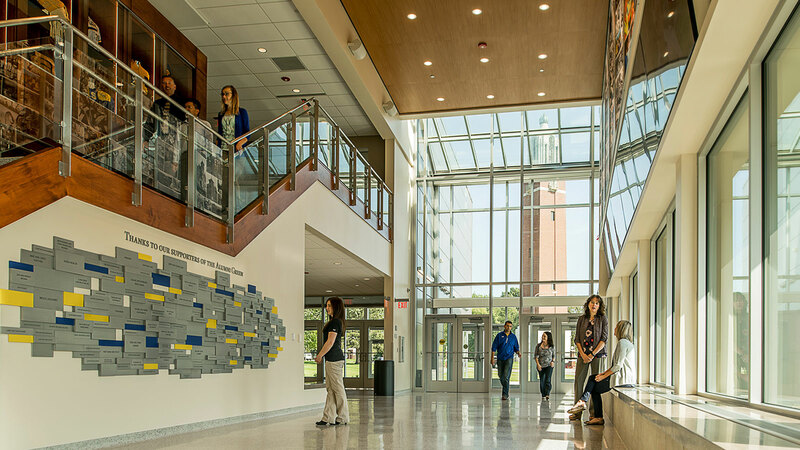 Outside, a 75-foot-long bench functions as a resting spot for students, staff, and alumni to meet and socialize.